Daily price indices, monthly, and annual inflation rates for Argentina and the US. Monthly data with annual inflation rates for Argentina, Brazil, China, Germany, Japan, South Africa, UK, US, 3 US sectors, and global aggregates (including Eurozone). Daily PPP series for Argentina and Australia. 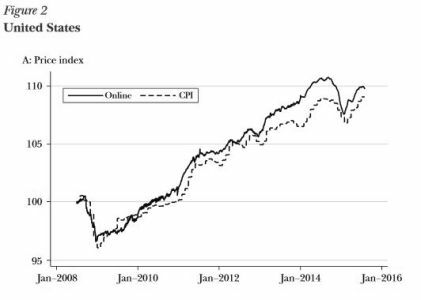 The data were used in the paper titled “The Billion Prices Project: Using Online Data for Measurement and Research” – Journal of Economic Perspectives , 31(1) (Spring 2016). Daily prices for all goods sold by APPLE, IKEA, ZARA, and H&M from 2008 to 2013 in 85 countries. Used in the paper titled "Currency Unions, Product Introductions, and the Real Exchange Rate" Quarterly Journal of Economics,129 (20) (May 2014). Online and offline prices for individual goods sold by 56 large multi-channel retailers in 10 countries: Argentina, Australia, Brazil, Canada, China, Germany, Japan, South Africa, UK, and the US. 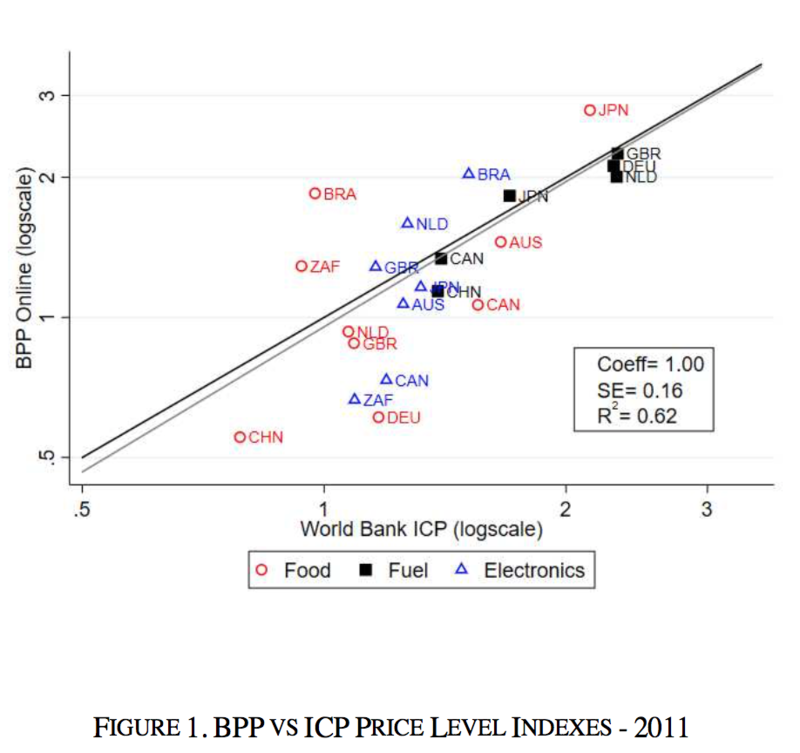 Used in paper titled “Are Online and Offine Prices Similar? Evidence from Large Multi-Channel Retailers” - American Economic Review, Vol 107 (1), (January 2017). Average price data for goods sold by - retailers, disaggregated at various levels by quarters for Argentina, Brazil, China, Germany, Japan, South Africa, UK, US, Netherlands, Canada, Australia. 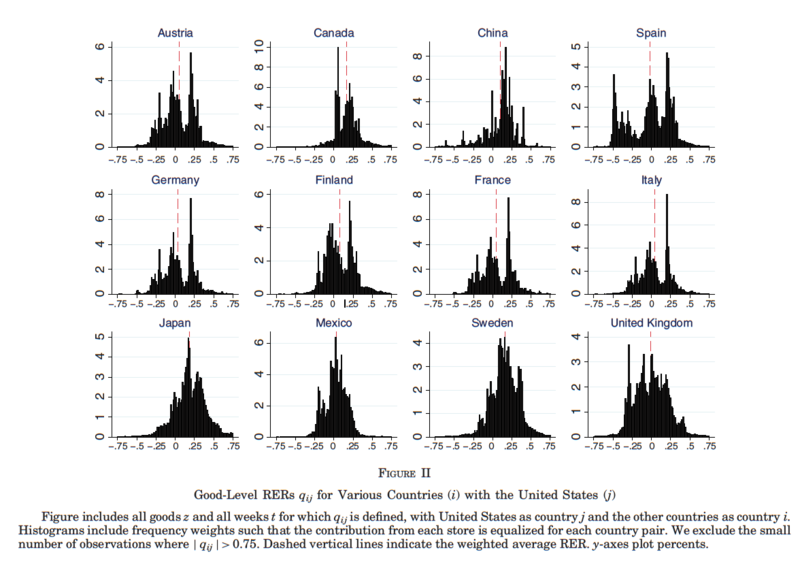 The data were used in the paper titled "Using Online Prices for Measuring Real Consumption Across Countries" – American Economic Review , Forthcoming.